Making Oat Sourdough & a recipe using it: Oat sourdough Bread! Day 1: In the morning: Make the oat sourdough. Put oats into dry Vitamix container & place fitted lid on. Blend until it resembles flour. This only takes 10 seconds. 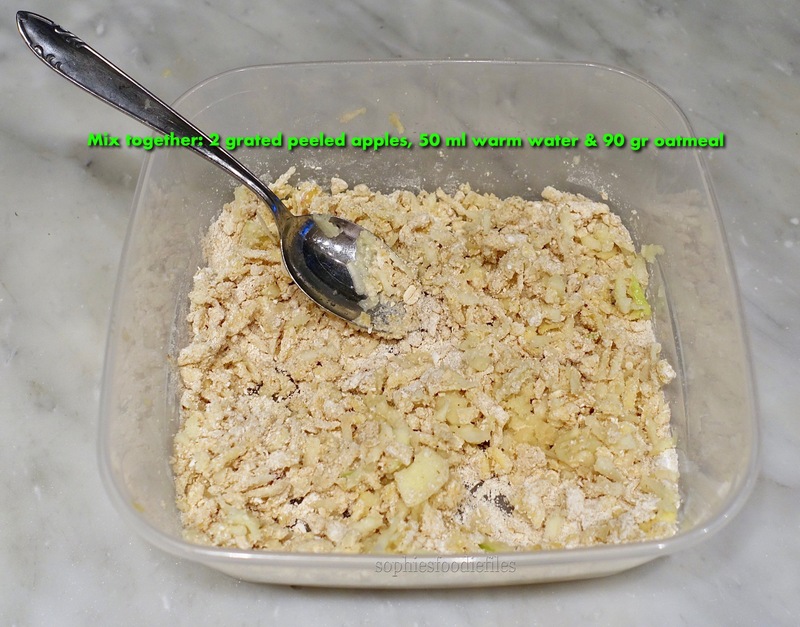 Take a medium see through bowl with fitted lid & add oatmeal, grated apples & pour 50 ml warm water in here. With a spoon, mix well. So, your oat sourdough base is ready. Place onto a big cloth. In the evening, mix it trough with a spoon during 30 seconds, to stir air into the mix. Eveytime, close the lid. Day 2: in the morning: the dough is more sticky, more fragrant & has risen too. Smell of apples! Mix the sourdough dough well through with a spoon. Close the lid again. Day 2: in the evening: mix it all through with a spoon. Day 3: It smells like fresh yoghurt & apples! Day 4: It smells really fresh & like yoghurt, no apple smell anymore! Day 5: In the morning, I fed my sourdough with 100 gr oat flour & 100 gr warm water, mixed well with a spoon. In the evening, I did the same again, feeding with 100 gr oat flour & 100 gr warm water, mixed well with a spoon! Day 6: Your oat sourdough is ready & smells fresh & has a lot of wholes. This is a more stiffer sourdough! Your oat sourdough is ready!!! Recipe: For 1 oat sourdough bread weighing: 830 gr! Take Kenwood major & add all ingredients in this order into the fitted bowl. Place dough hook in. Start by mixing on low-speed, aka number 2 for 3 minutes. Now, turn speed up to number 4 & knead the dough for another 5 minutes. Stop machine from time to time to scrape the sides. Knead again. With help of a dough scraper, scrape your dough out of the bowl & onto your kitchen counter. With your hands, knead dough for a few minutes. I do the stretch & fold method for a few minutes. Flour a fitted banetton rich with rice flour. Place your dough into it. Place closed plastic bag over it & leave to rise for 6 hours in a warm place. After this time, your dough has risen a bit, but not too much because of the oat sourdough. Preheat your oven to 200 °C (392 F) for 10 minutes. I always use a fan oven. Place a Silpat onto an oven rack. Place your banetton upside down & carefully flip your dough out of the basket onto the Silpat. You now see circles of the banetton onto your dough. Slash it or score it just like you want & smear your bread top & sides in with water. I use a silicon pastry brush here. 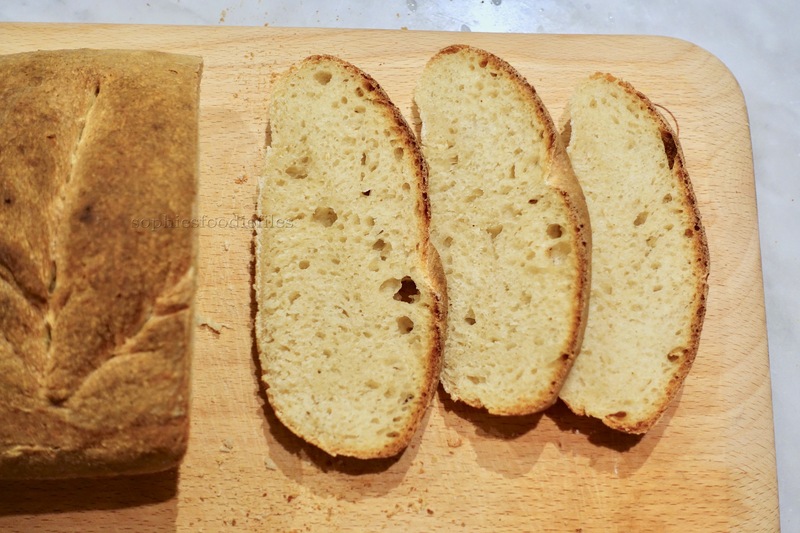 Lower your heat to 180°C (356 F) & bake your bread for 45 minutes or until browned & baked through! I inserted a thermometer & it stated 96°C (205 F) so it is baked through! When your bread has been fully baked, your house will smell amazing! If you tap on the bottom of your bread & it sounds hollow, it is fully baked. Carefully remove from the hot oven & place onto a wire rack to cool down completely! You will end up with a delicious tasteful sourdough bread that needs lots of butter on it! This breads tastes a bit sweet because of the honey in here. Like what you see & want receive my posts per email? Subscribe here & join 2,000 email subscribers! You will get my free E-book: Healthy Vegan Christmas too! When you subscribe to my blog, you will receive an email to confirm your subscription & then, you will receive a final thank you email where you can download the recipes in the format that you want. I have a version for a IMac, iPad, iPhone. I also have a version in PDF-format. Next Post Sourdough Bread Rolls! I’ve never tried making sourdough. This post makes it sound easy. I may have to give it a try. Yes, it is fun & easy! Such a wonderful artisan bread! Thanks so much, sweety! Enjoy! The bread looks so soft and delicious! I made your lovely bread today & used an aged white spelt sourdough! It is a special bread that tastes a bit sweet because of the used honey! I used local lavender honey in my bread! Delicious! I am intrigued with this sourdough recipe and will try it out soon!! At the moment I am also making gluten-free sourdough breads and starting it with fermented fruit water, which works well too. My only problem is how to keep the sourdough well in the fridge. Do you have any suggestions? Mine tends to go bad after a couple of weeks. Hey Linda, great top hear from you! 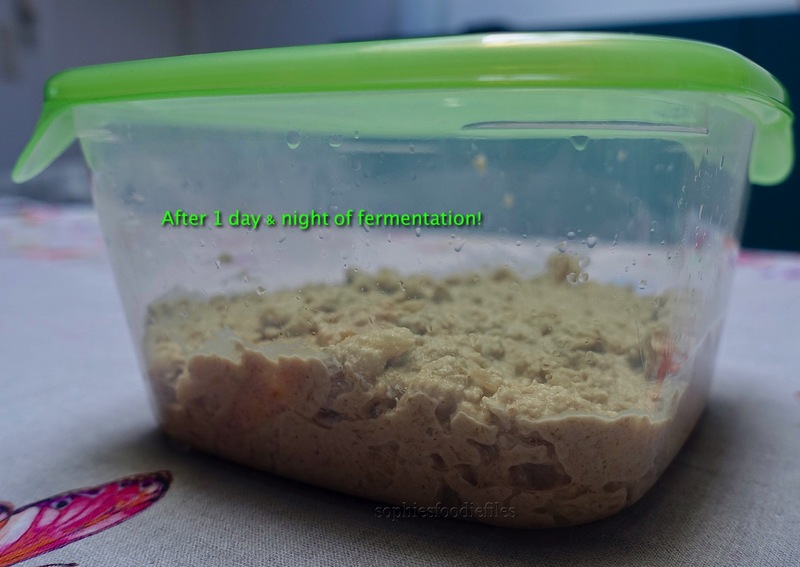 After 1 week in the fridge, you need to feed your starter. If it hasn’t been fed enough, you often will get a thin layer of water on top of your sourdough starter. You could pour that away or stir it right back into the sourdough. 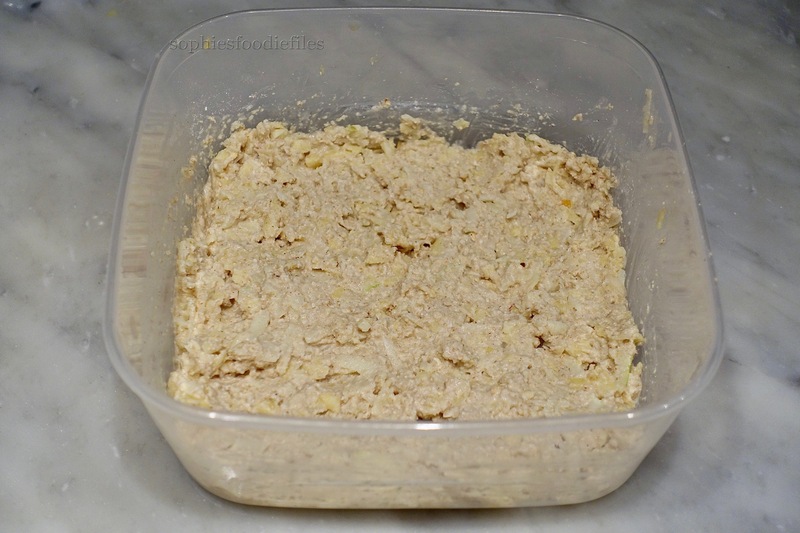 Normally, I feed it with 2 tablespoons of water & 2 tablespoons of flour of what your sourdough is formed from So if it is an oat sourdough start feeding it with 1 tablespoon of oat flour & 1 tablespoon of water. Whisk it all well into he sourdough for 1 minute to incorporate air too. Place fitted lid on & place back into the fridge to rest. hahahahahaha! Have a nice weekend! Sophie😘I hope you and Peter are well. A quick question (or two)… When making the oat sourdough starter, do you only feed it on day five? 🤔 Presumably to keep it alive you then feed it every day- but how much? Thank you! It is stated in the recipe above!